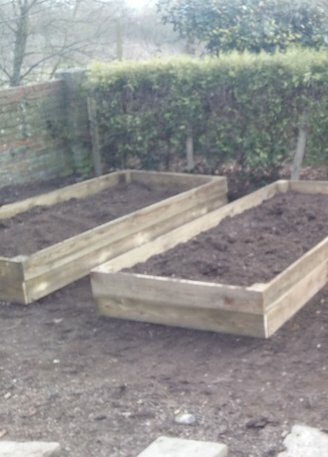 Raised beds built to your specification.They can be designed to make gardening accessible to all. We also can supply the netting hoops etc to give you the best chance of producing some great fruit and veg or flowers and plants if you prefer. Beds can be built with either treated timber or railway sleepers.